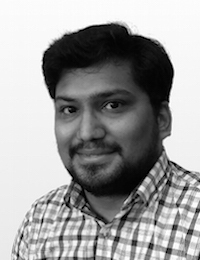 Dinesh is a Post Doctoral Researcher in the Centre for Robotics and Intelligent Systems (CRIS) at the University of Limerick. His research involves design, development of the depth and temperature sensor and its instrumentation suitable for ROV /ship-based measurements. Dinesh received his B.E. in Electronics and Communication Engineering from Anna University, India and MEng in VLSI Systems from the University of Limerick respectively. He obtained his PhD from the University of Limerick in “Combined Optical Pressure and Temperature probe for underwater and other biomedical applications”. Further information can be found on Dinesh’s UL Research Profile.